Harriet Miller, 23, from Groesfaen recently completed the 50 nautical mil J.P. Morgan Asset Management Round the Island Race, one of Britain’s largest participation sporting events, with the Ellen MacArthur Cancer Trust on Saturday 2nd July. 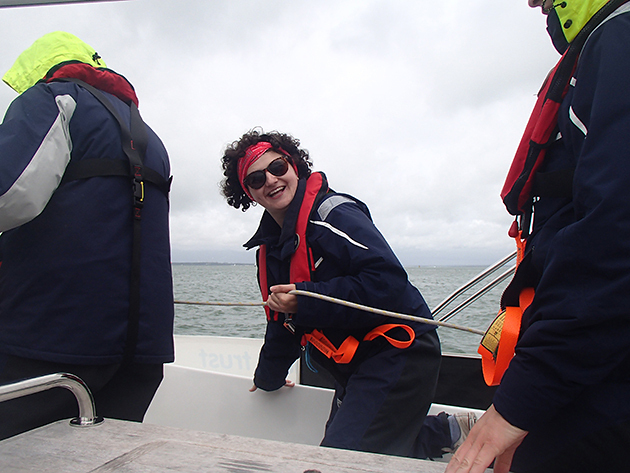 Harriet, who finished cancer treatment in April 2015 for Hodgkins Lymphomaat University Hospital Wales, was one of 24 young people from across the UK sailing on board the Trust’s five yachts taking part in the Race, in what were considered by world renowned yachtswoman Ellen MacArthur to be “challenging conditions” on the water. Omerta and her crew completed the race in a corrected time of 10 hours, 36 minutes and 57 seconds. Now in its 85th year, the J.P. Morgan Asset Management Round the Island Race regularly attracts over 1,500 boats and 16,000 people who sail the 50 nautical mile course around the Isle of Wight. As the Official Charity since 2007, the Trust has raised over £200,000 to date through the Race. Launched in 2003, the aim of the Ellen MacArthur Cancer Trust is to give young people in recovery from cancer the chance to rebuild their confidence through sailing. In its 13th year, the Trust has grown beyond every expectation into a national charity, working with every young person Principal Treatment Centre and a growing number of Designated Units in the UK. In addition to the annual Round the Island Race event, the Trust runs trips for young people in recovery from cancer throughout the summer. Sailing on board 42-48 foot cruising yachts, the trips provide a chance for the young people to test themselves in a safe and supportive environment. 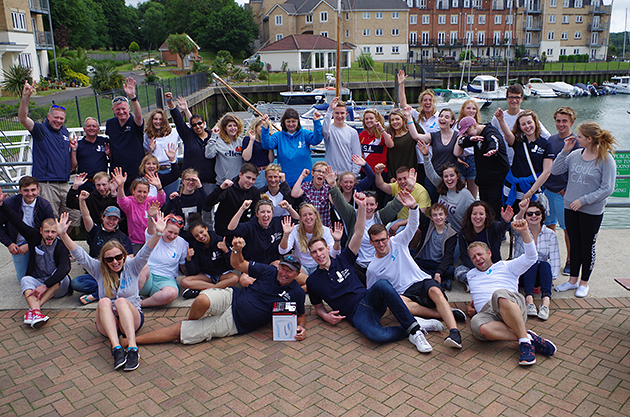 During the four day trips the young people, aged 8-24, are encouraged to work as a team and to get involved in every aspect of being on board, from helming the boat to cooking.